I’m about a month late on posting this, so sorry to the Sneaker Freaker guys. 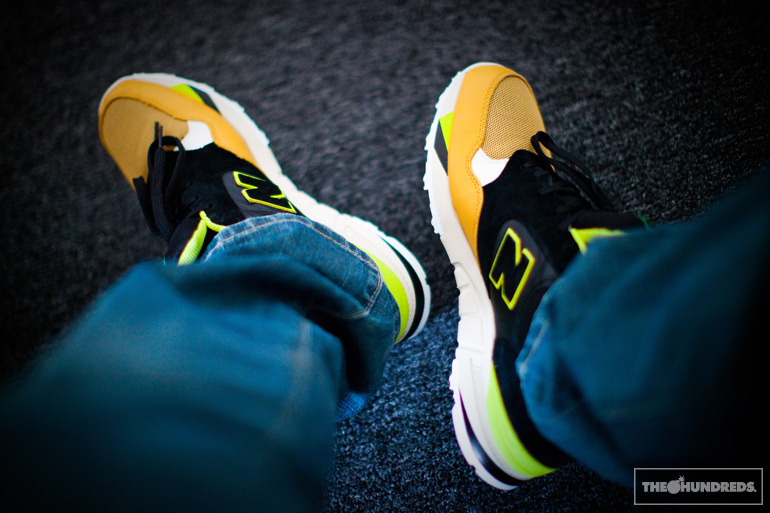 These are the New Balance Skippys in conjunction with SF. And quite possibly my favorite sneaker in recent months. The balance of black with the tan hide and neon green/yellow accents, plus the comfortability and silhouette of the 850.. it’s earthy but understated, a cool but classic combo. PLUS, the marketing and cross-branding campaign was hook, line, and sinker. Right when I saw them pop up online, I had to ask for ’em, and if you know me, I hardly ever fiend after a sneaker. Anyways, wanted to thank Woody and Mafia for hooking it up!